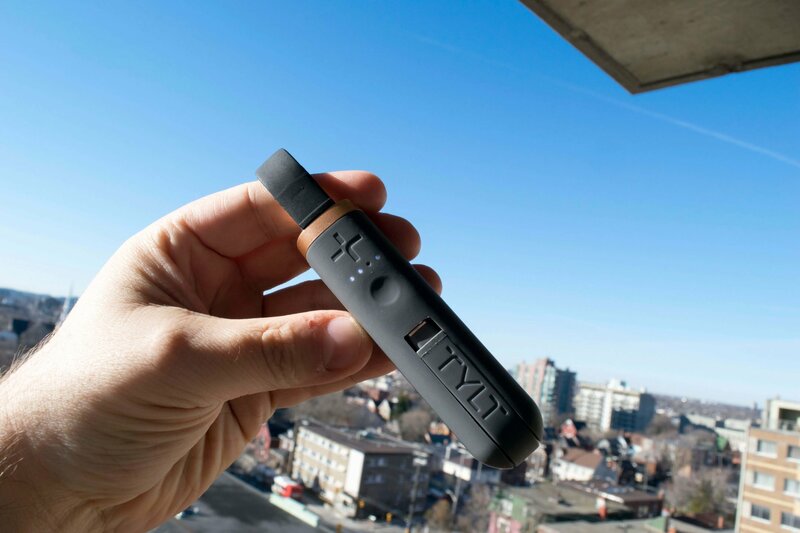 Home » Accessories » Flipstick from TYLT kickoff page goes LIVE! 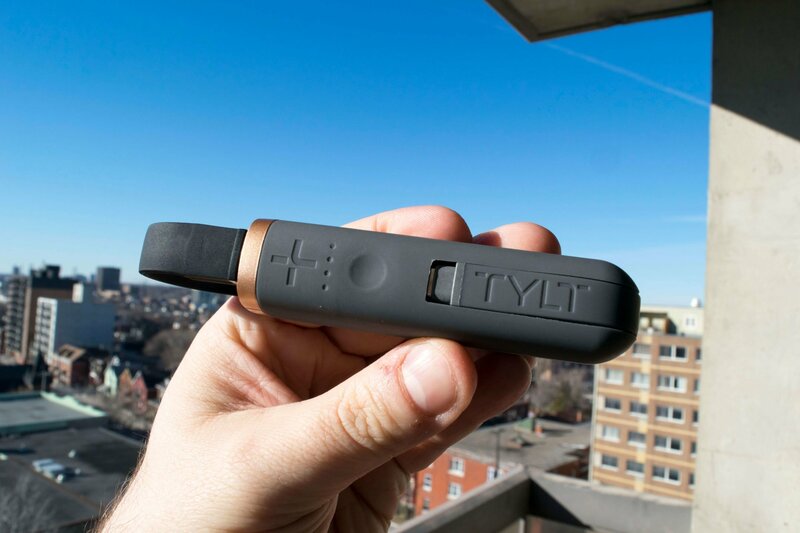 Flipstick from TYLT kickoff page goes LIVE! [Update] – Flipstick from TYLT kick off page goes LIVE! TYLT is always looking at bringing something different to the table, this time they’ve produced a 3K mAh portable battery that doesn’t require you to bring any cables. The USB-C and the charging USB-A cables are built into the device. Just grab and go. You can’t get your hands on it just yet, TYLT hasn’t added it to its website at the time of writing this review. It’s available for USB-C, Micro USB and Lightning standards. The price point on the USB-C & Lightning variant is $39.99 USD. The Micro USB is going to be sold at $29.99. The exact amount of power you’re getting out of the Flipstick is 3350 mAh, this in most cases should give you that top off you need. While this doesn’t provide fast charge, it will charge at the maximum output of 2.4A. The charge time for the stick itself it a little over 3 hours as it charges back at 1A. I’ve been testing TYLT’s Flipstick with the Nexus 6P and MX6 which both make use of the USB-C standard and I’ve noticed that on the screen I get Charging VS Fast Charge. If it would be slow charging the device would say Slow Charging. This is a good indication that I’m getting the max out at 2.4A. Keeps me going for a good 2 days easy, I can’t see why I’d want anything else. Well, I actually can, all depends on the activity you’ll be doing. If I’m travelling this would be perfect for my smartphone but not for the tablet, which is where I’d have a larger size portable battery pack while I’m out in the field. I know what’s up with the price? $39.99 USD? Really? In the off chance you haven’t heard about TYLT, they do make some really awesome accessories for smartphone users and this is a quality product that will outlast many of the cheaper versions you can find online. You’re investing in something that’s proven and that works. The black loop belt is strong enough and clipped in right that you can attach this to your pants, bag and go without worrying it might unclip itself. In addition to being able to grab and go, no need to fiddle with cables. A nice to have would have been “fast charge”, however, this isn’t a deal break as this is meant to top you off when you aren’t using your smartphone; Dinner out, park, car, hiking, walking around the city or simply at the gym. In addition to being convenient, it’s light, made out of TPU rubber giving it that harder resistance feels to the various elements we are faced with. TYLT Offers a 1-year limited warranty that can be extended up to 2 years if you register your device online with them. A good indication that they intend to keep this for a long period of time and provide the best service that TYLT can to their customer base. As much as I’d like to add a product link, it’s still not available from the TYLT site. However, I’ll update this post once the links are available. In the meantime, you can visit www.tylt.com. Previous How-to get voice calls in Google’s Duo app? Next Are you using some security on your smartphone? Password? Encryption?